This is the home-made Velvet Cheesecake recipe from TEA WITH MILK AND MURDER (Oxford Tearoom Mysteries ~ Book 2). 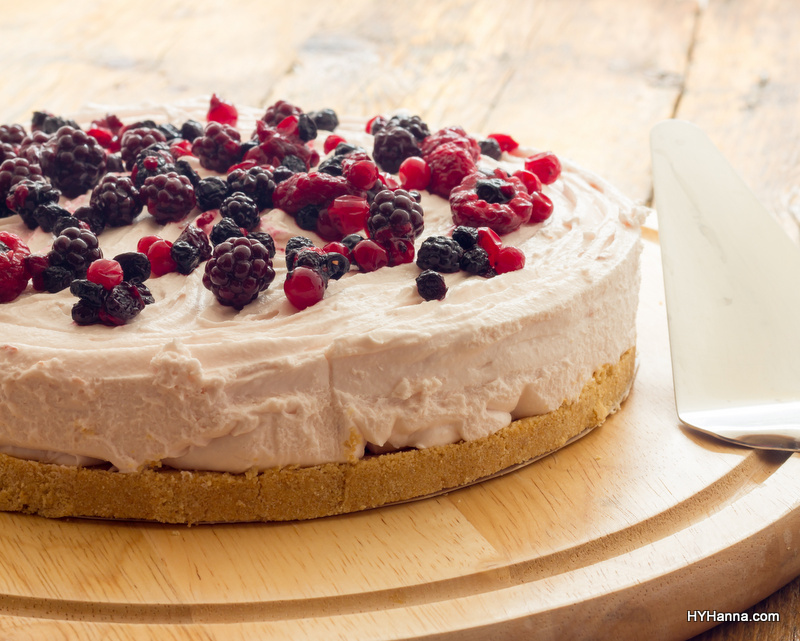 This is a really simple, easy cheesecake to make and tastes delicious! 1) Pre-heat the oven to 205C / 400F. 2) Crush the biscuits (eg. in a mixer) and mix with the melted butter & sugar. Press this mixture into the bottom of a collapsible cake tin (where the sides can be removed) and put in freezer for 10mins. 3) Put all the ingredients for the Filling into a blender/mixer and combine until smooth. 4) Take cake tin out of freezer and pour filling onto biscuit base. 6) Take out, remove the sides of the tin and allow to cool slightly – then put straight into the fridge. 8) Once the sour cream has set, you can decorate the top with fruit, icing, etc. ** One of my American readers – who is a fantastic baker – has tested this recipe and written about it on her blog – so head over to her post to see her notes and a live video of how to make this delicious cheesecake!